Now many families have iPads or other tablets for kids to use at home. More and more schools are using iPads as study tools at school. Mobile devices are great learning tools if we use them appropriately. Through time, we have found many good learning tools that are available on iPad and other tablets for kids. 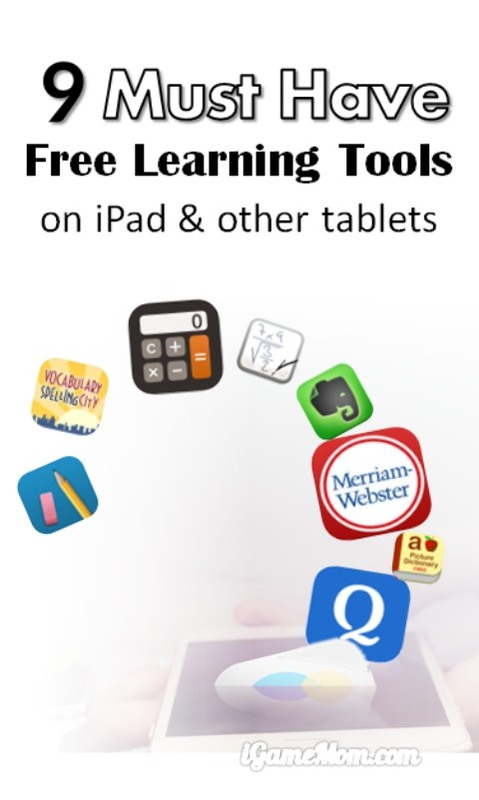 Today we share some very essential must have learning tools for kids on iPad and other tablets and all are free. This is part of the Best Learning Tools for Kids series. For the complete list of this series, please go to the bottom of this post. For more information on each app, please click on the app title. Free Merriam Webster Dictionary: love the search word by voice function. The Synonyms and Antonyms and the Example Sentences are great in helping kids fully understand the words’ meanings. Dictionary app from Dictionary.com: with similar functions and features to Merriam Webster Dictionary, but more words. However it has bigger ads at the top of the screen on the free version. In my opinion it is not a best one for kids under 10. However, with more word coverage, it is a good one for older kids. Picture Dictionary: for kids 7 and younger, a picture dictionary will be a much easier and fun option to learn new words. All words are companied by pictures and sorted in alphabetic order. Kids can even record themselves’ reading of the words. Calculator: includes basic calculations elementary kids will need. 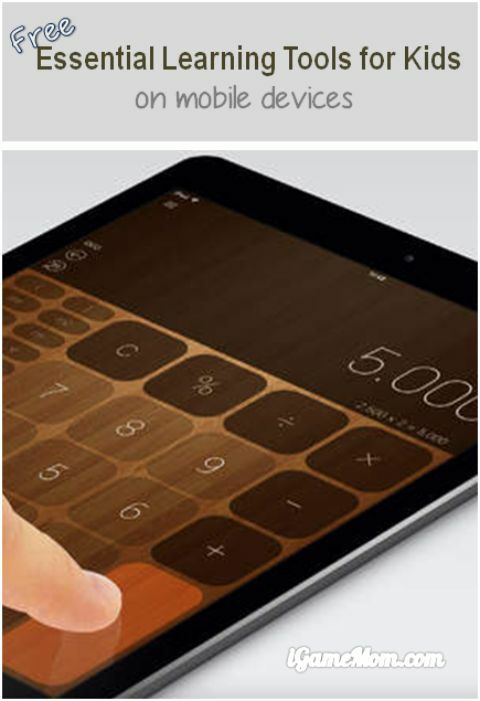 The interface is simple, just like an electronic calculator. The free version has ads at the bottom. You can either teach kids not to click on the ads, or use the Guided Access feature to disable the ads. For instructions, visit How to Lock iPad iPhone Screen, so Kids Stay Within App. The last step in the instruction is about disabling the ads. My script: a calculator app taking kids hand writing for calculation. It is a lot easier many times just write down the math formula than typing it, especially when there are special symbols or multiple layers or steps of calculation. Quizlet: a versatile study app that is great for students to prepare for quizzes. Think of it as flashcards but with more functions. Kids can update their sets anytime, and can use it offline with no need for Wifi. Spelling city: a fun app to study vocabulary. Users can download vocabulary lists or create their own lists. 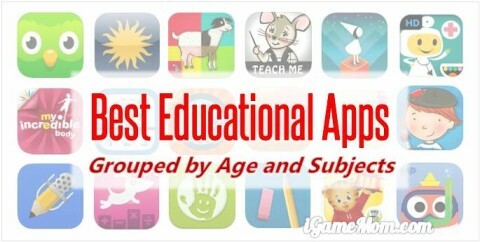 There are games for each list, so it is not just a flashcard app. It makes memorizing the spellings fun. 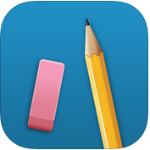 myHomework: a nice app helping kids keep track of classes, homeworks, projects, tests. Kids can set up an account and access the account from multiple devices and it is synced among devices. Evernote: The best thing about Evernote is the ability to keep all types of documents in one place. You can save your Word documents, PDF documents, Image files, even web clips and website address, in your Evernote account. It is synced on all your devices. By using tags, you can easily find all the documents you have under one topic. It is a great tool to keep track research projects. Do you have free great learning tools to recommend?